The first time I remember feeling God’s love was in high school. It was a Sunday morning. Maybe the preacher was talking about love, but I don’t remember exactly. I remember sitting in the wood chair. the red carpet was under my feet and I had my Bible open. Prior to this my. heart had been disappointed with friends and choices and teenage drama. It was all very hard on a girl’s heart at the time. As I sat there, a little melancholy, I experienced a wash of God’s love just come over me. I can’t explain it other than that. I felt, for the very first time, the immense strength, joy, and peace of God’s love. It only lasted moment, the feeling, but the truth of it lingers even to this day sixteen years later. Feelings are never to be the judge of truth, but God granted me a feeling of His love in that moment I’ll never forget. When the feelings of God’s love fading, I struggled. Did He still love me? After years of being in His Word and reading all I can, I realize this truth: God’s love is not dependent on my feelings. 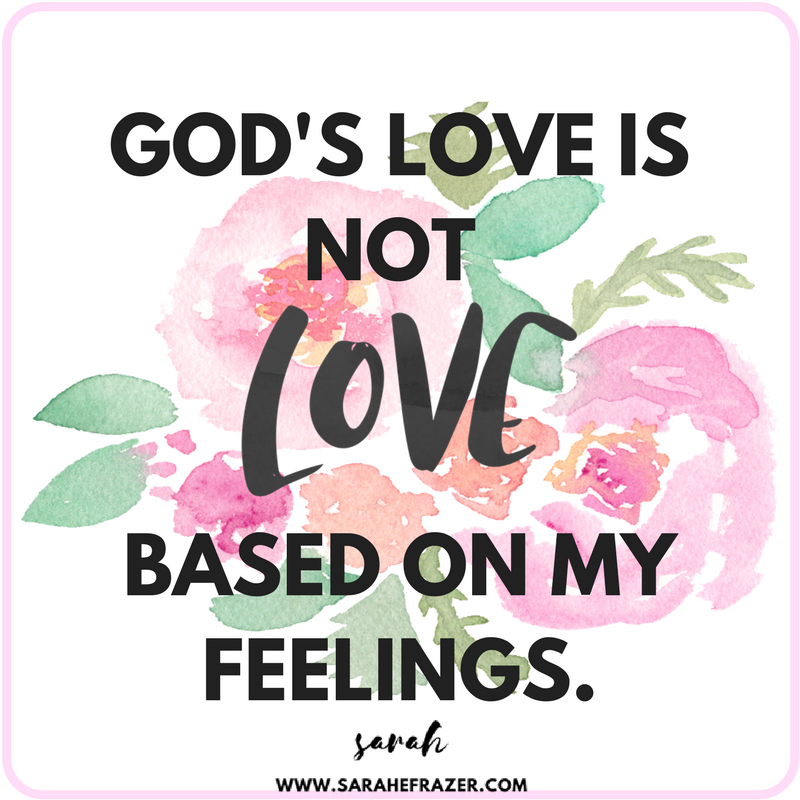 God’s love is not dependent on my feelings. What a blessing that is! What a relief!! I am prone to be all over the place with my feelings, so I am so thankful God’s love is not based on how I feel. Instead, His love is based on the Bible. 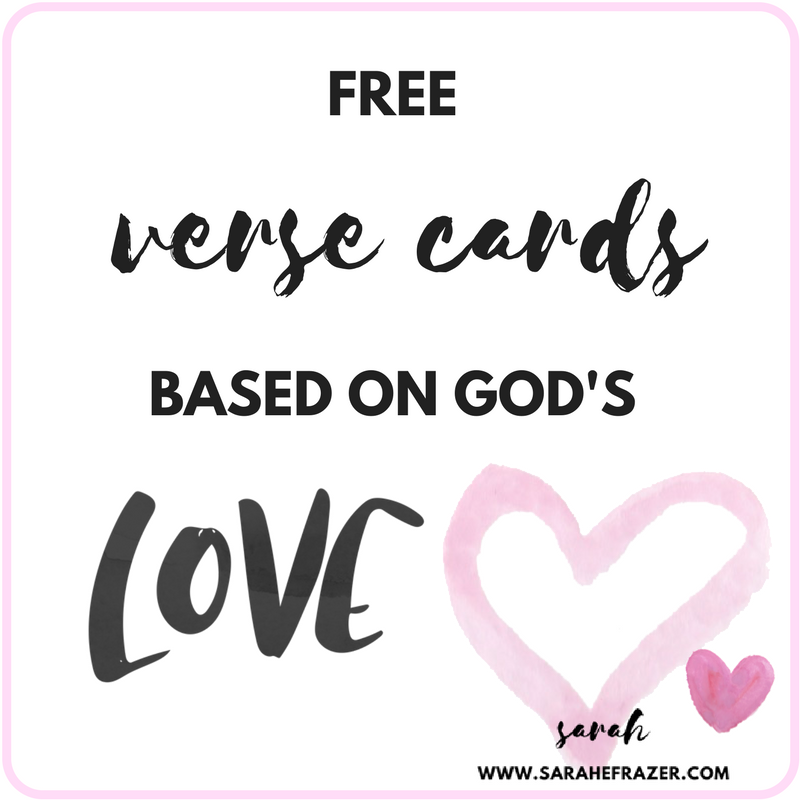 For today’s Friday Freebie, I create six verse cards based on God’s love. Download them below – for free! « Where is Our True Home?